The Fred Smith Group is a team of licensed Homewood Alabama Realtors serving the unique needs of buyers, sellers, and investors in Homewood Alabama and its surrounding areas. 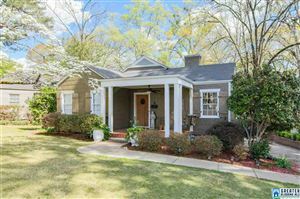 Being longtime residents of Homewood, we are committed to applying our extensive real estate experience and familiarity with the real estate market to provide the finest service available with an emphasis on professionalism and integrity when buying or selling Homes for Sale Homewood Alabama. For every move you make, The Fred Smith Group is there for you.